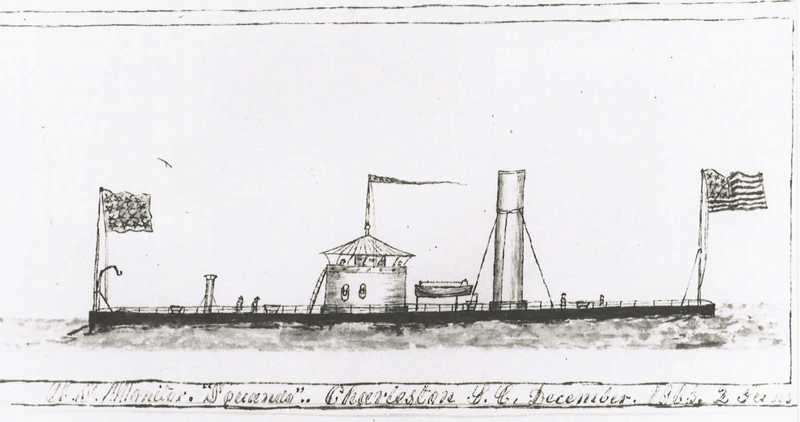 Benjamin Drummond served aboard the USS Squando from July 26, 1865 to May 26, 1866. During this period the ship was patrolling Charleston Harbor, South Carolina. The original copy of this photograph is held by the Naval Historical Center at the Washington Navy Yard in Washington, DC.